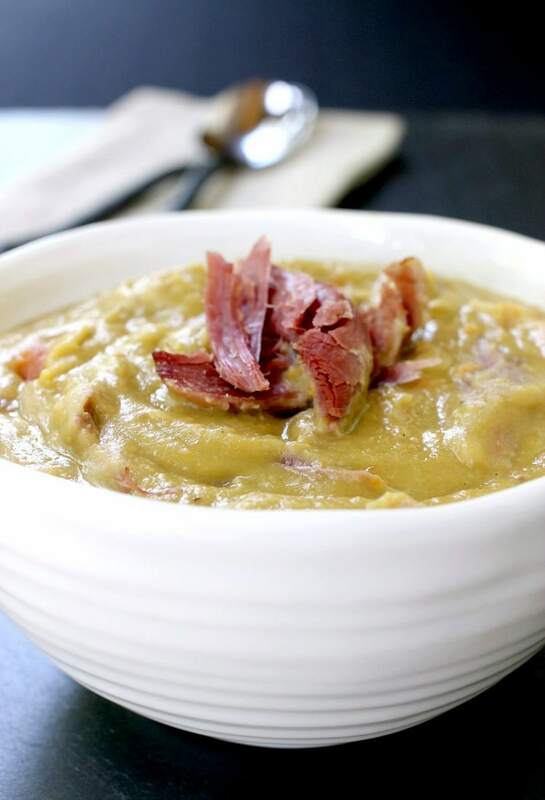 Turkey Leg Split Pea Soup is the warm and comforting dinner you’re looking for tonight, a slow cooker recipe that cooks all day while you’re gone! You see this is why I love all the seasons. It basically revolves around food. 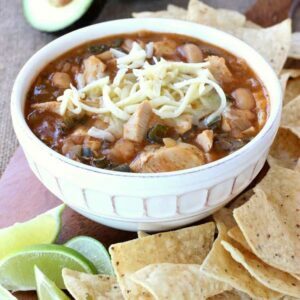 Now that we’re getting into the colder weather we can start breaking out more slow cooker recipes, more comfort food recipes, more recipes that make your whole house smell so amazing and you just can’t wait for dinner to get here. 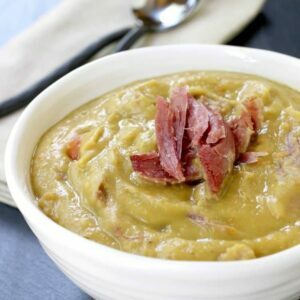 This Turkey Leg Split Pea Soup is all of the above – fits every category – and couldn’t be easier to make. 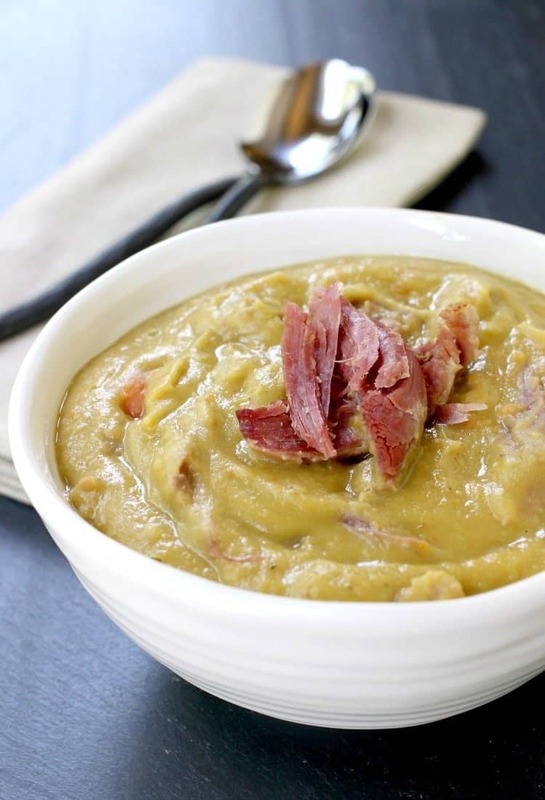 Not that we’ve never made split pea soup before, but this recipe is a little different. Instead of ham we used a smoked turkey leg that (mind blown) we found in the regular grocery store. We had just gotten back from our latest trip to Disney in May and one of the things we craved every day were those damn turkey legs. My boys would get one and share sometimes, you know, if it wasn’t time for a full meal but we passed a stand selling turkey legs and they HAD to get one. I’ve never seen them share anything so nicely, one would hold and they’d just take turns biting of huge pieces of the smoked turkey leg, then patiently waited for their next turn. So when we found these smoked turkey legs in the store we knew we struck gold. 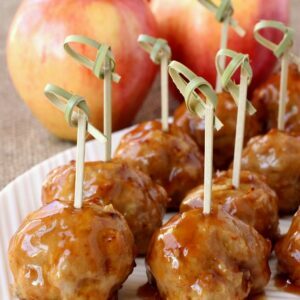 This is also a great leftover recipe…got 2 legs leftover from that Thanksgiving bird? Perfect. That hard part now was getting the turkey legs out of the slow cooker to shred, and actually getting some into the soup. They were standing around me like hungry dogs waiting for me to throw a piece at them. I’m telling you, they weren’t AS good as the ones at Disney (because nothing ever is) but they were pretty close! Next time I’ll just grab a few, thrown them in the oven and call it dinner. Save some of the shredded turkey leg to garnish the soup with, if there’s any left, and dinner is served. Weeknight, weekend, watching the game or running around from one of your kids games to another one of your kids games (did I mention how good this soup will stay in a thermos?) 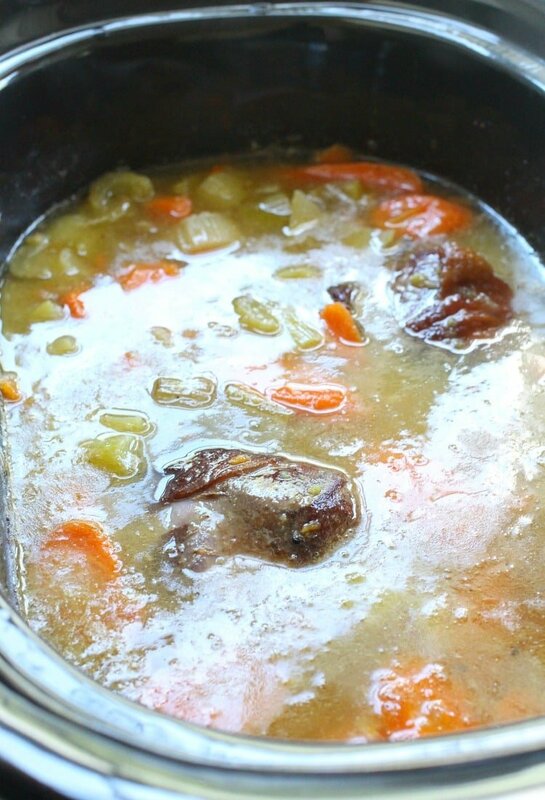 this Turkey Leg Split Pea Soup is the perfect dinner! 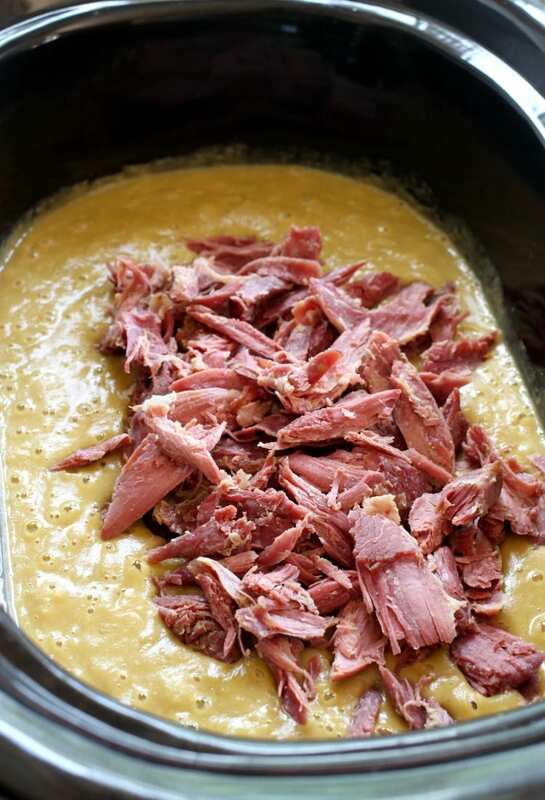 Place all ingredients in a crock pot and set on low for 8 hours. Remove the turkey legs, let cool and shred. Using an immersion blender (or once the soup is cooled you can use a blender in batches) blend the soup until you reach the desired consistency. Add the shredded turkey meat back into the soup and stir, or you can serve the shredded turkey as a garnish on top of each bowl of soup. 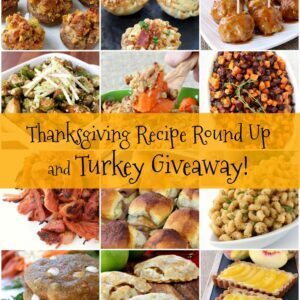 Thanksgiving Recipe Round Up and Turkey Giveaway!